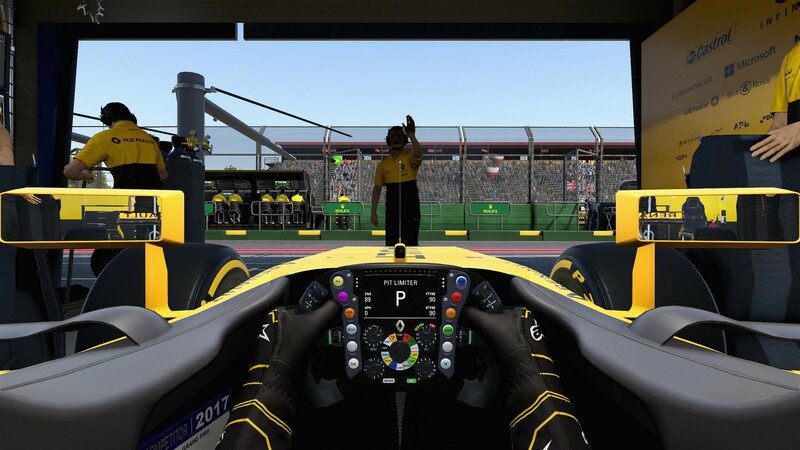 Every year we get a new F1 game in the series, and since Codemasters only ever has about one year to bring out a new installment that actually improves the experience, I try to keep my expectations rather low. This year however, the completely new Formula 1 cars hit the tracks with their vastly increased downforce, size and weight. 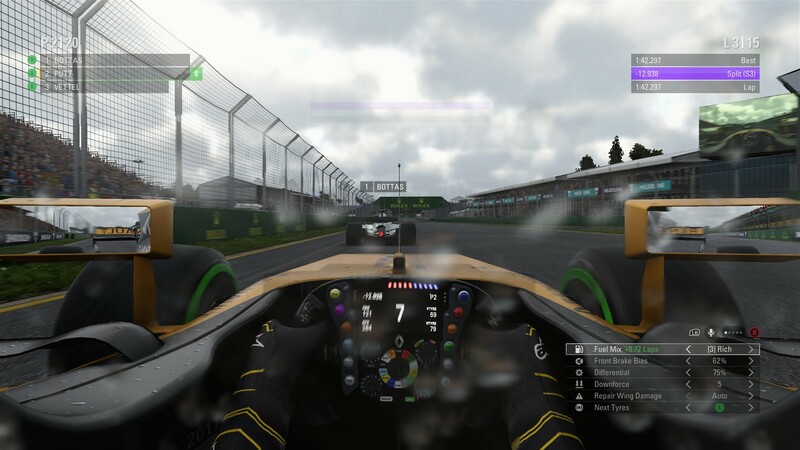 Codemasters couldn’t just add in a few little tweaks to the cars to bring them in line with their real-world counterparts, but to think they would just bring us new cars and call it a day would be utterly wrong. 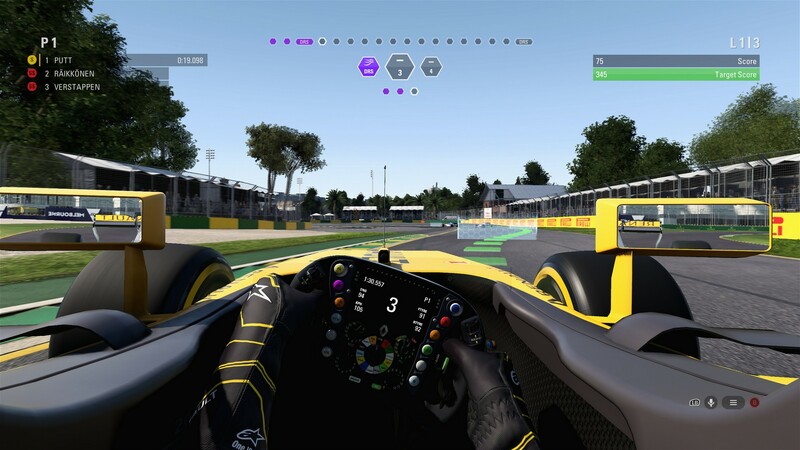 Completely new aspects to the career mode, minor tweaks and fixes to gameplay might make this the best F1 game in a long time. 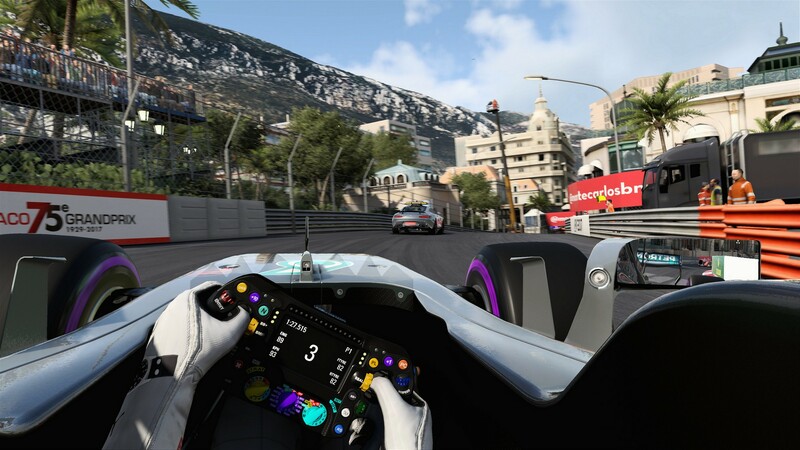 Now you’re pretty much in the car, asking your mechanic for the tablet where you change your cars settings or look at the screen in front of you to see the race information like weather, timings and practice programs. There are 5 and ½ programs for you to complete instead of the 3½ from last year. 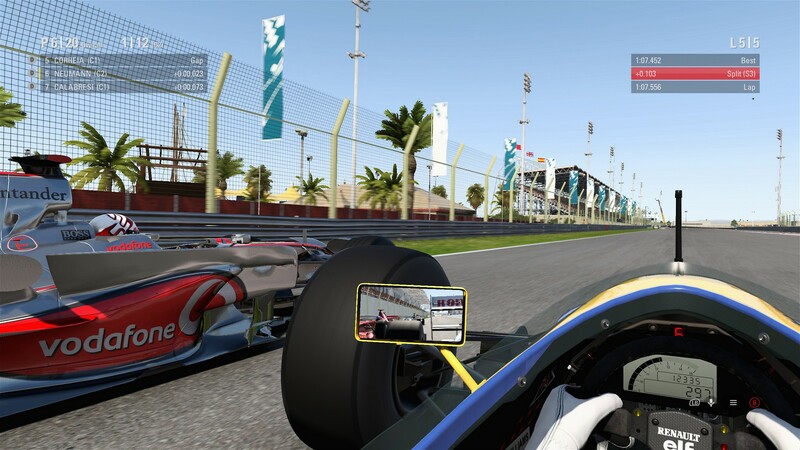 Track Acclimatisation has you drive through some goals which are placed on the racing line. 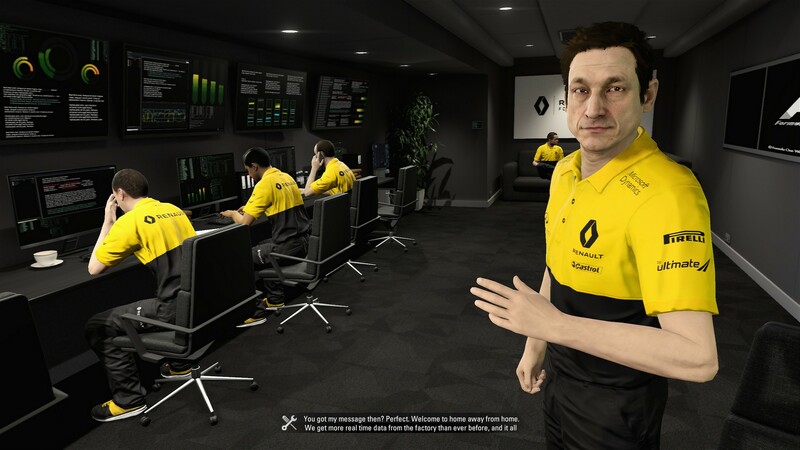 In the tyre management program well…astonishingly, that’s where you manage your tyres. 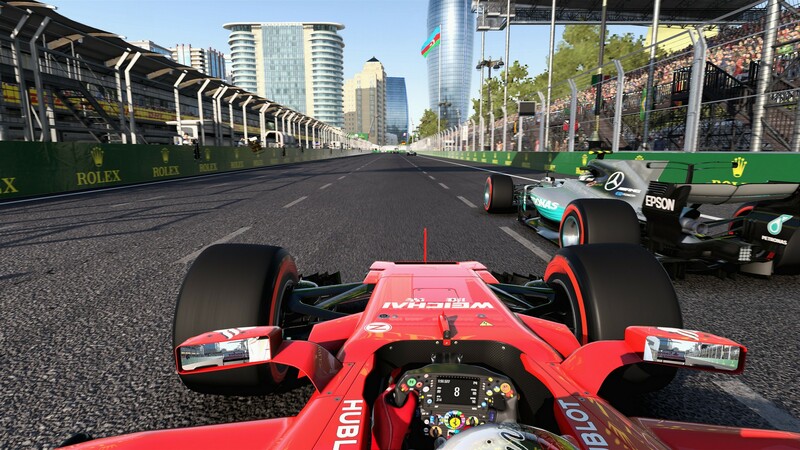 Fuel Saving is a new program for F1 2017 and it’s pretty much what it says. Lift and coast, early upshifts and a softer touch on the throttle will see you through this one. Qualifying Pace is just a test for a hot lap same as previous year. 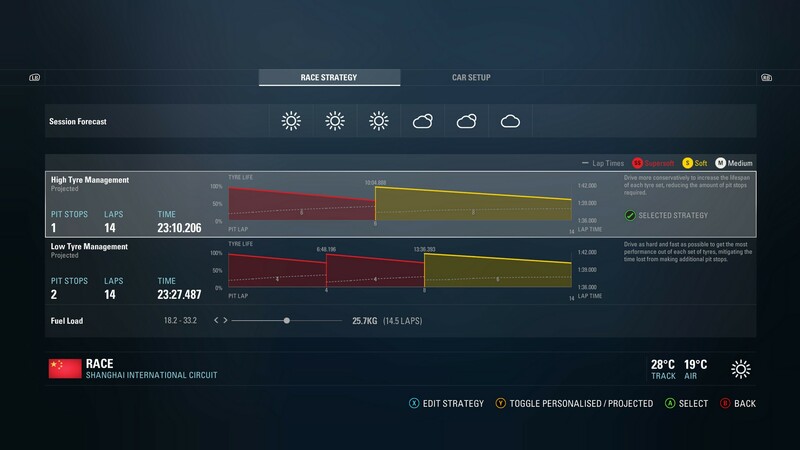 New is the Race Strategy program which basically is just 5 laps in race trim. 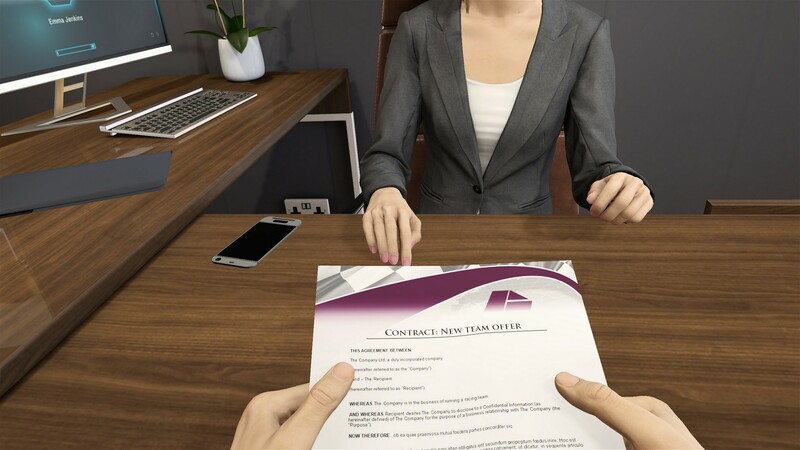 Then of course there are the Team Objectives that are easily achievable if you just complete all the tests, which you should, since they’re your main income when it comes to resource points. 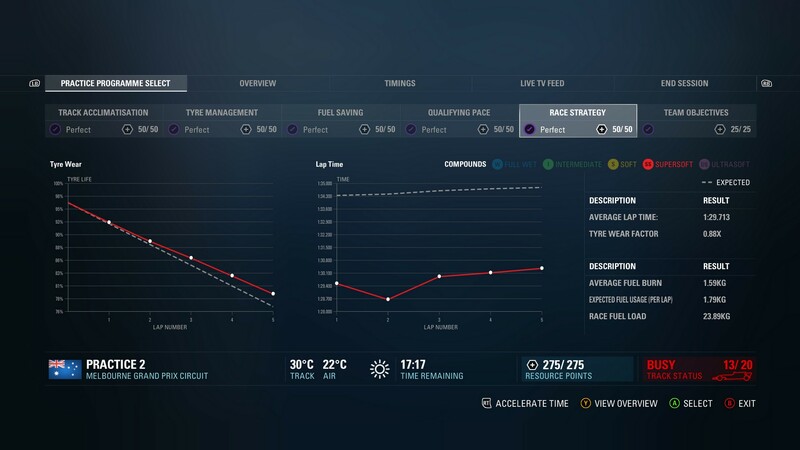 A nice change to these programs is that you don’t have to complete all 5 tyre management laps anymore. Once you get the purple result, you can go back to the pits and start the next one. 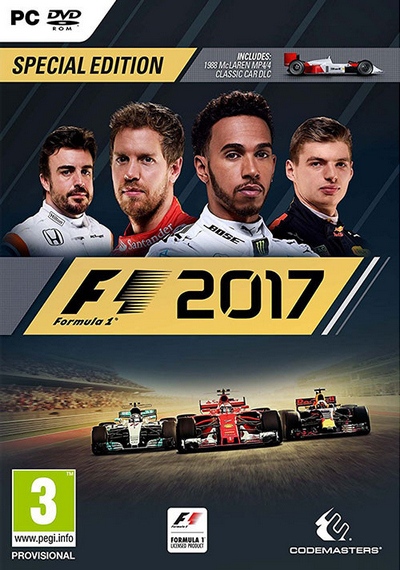 In F1 2016 you had to complete all 5 laps or else it wouldn’t count as a completed program. 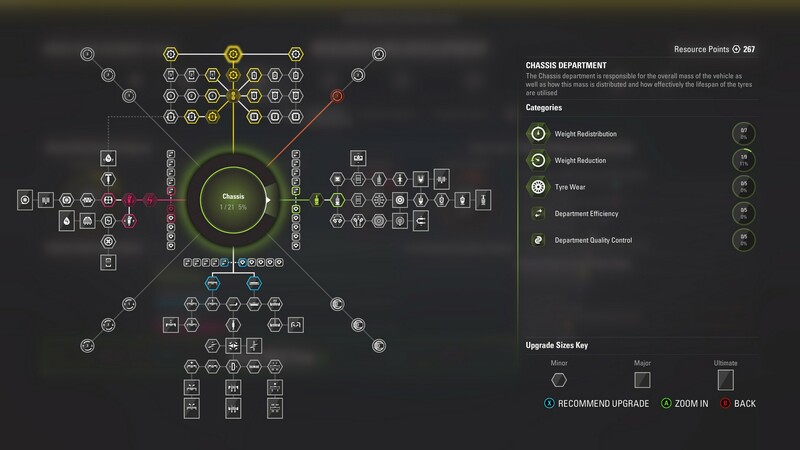 While we talk about resource points, I should mention the vastly improved upgrade tree with over 100 upgrades for you to install. They’re not cheap and will probably take you a few seasons to fully upgrade every single thing in there. Luckily there are 10 seasons to take part in so there is plenty of time to catch ‘em all. Most performance upgrades cost 1000 points and that’s about what you earn on a race weekend. 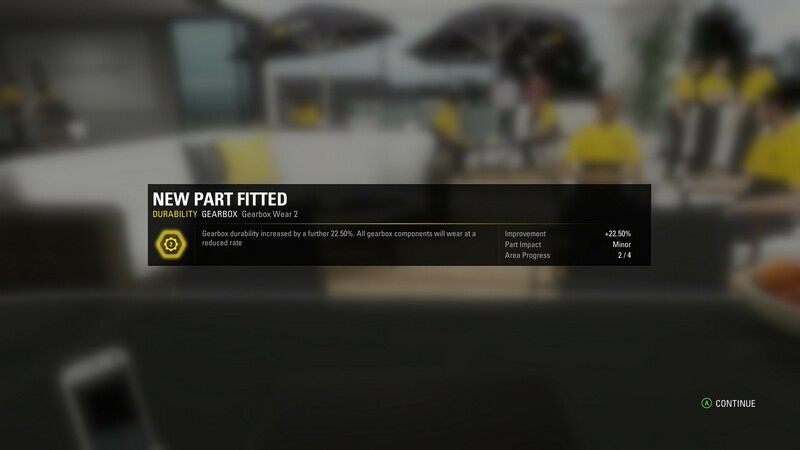 Some parts cost 2000 or even 2500 resource points, these upgrades however are fairly late game and you need to unlock the previous ones before you can tackle these ultimate upgrades. Just like in a regular old skill tree. 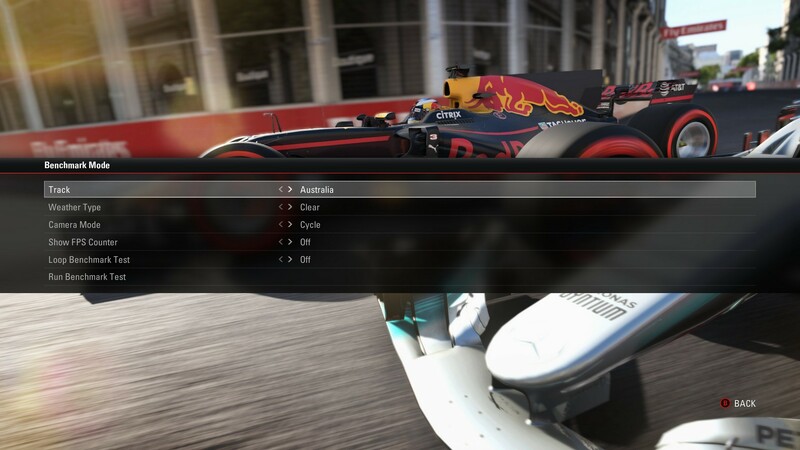 There’s also a section with reliability upgrades which is a new feature in F1 2017. Upgrading the gearbox by 20% so it’s more durable? Yes please! 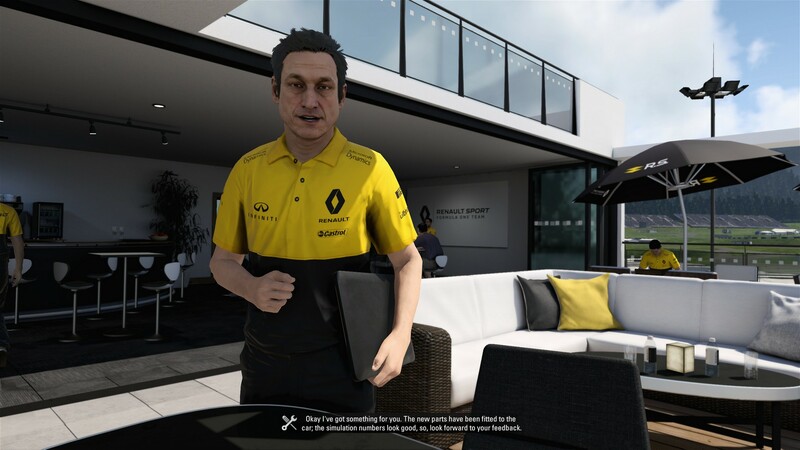 Once the upgrades are completed, your technical director will present you with the information of that upgrade, with sadly most of these voiceovers reused from last year. Anyway, these upgrades are the first thing you should aim for. They’re comparatively cheap and reliability is a big problem in your first races. For instance my gearbox failed me after just 4 weekends so I had to take a grid penalty because I wasn’t within the 6 races per gearbox rule. However, gearbox failures are still somewhat bugged. Your mechanic will tell you that you’ve lost one of your gears which is all fine and dandy, but once you switch to a new one, the broken gear might still be broken. After a while it will then just randomly appear. For the heck of it, I changed back to the old gearbox and what do you know, it fixed itself only to break down again after a few laps. So far this is the only bug that I’ve encountered. The power unit reliability doesn’t seem to be affected by the same problem. Once your ICU (Internal Combustion Engine) hits a certain limit, you won’t be able to use a higher fuel mixture, or if your batteries are almost broken, a low fuel mixture is not advised by your mechanic. You are able to track these things in the management window in the race, garage or on your laptop. Of course, you’re only able to change out parts in your garage or when you’re on your laptop between the sessions. You can also switch back to old and used parts which is a great way to make use of the remaining percentage of the parts in the test programmes. You don’t need a brand new engine if you do a fuel or tyre saving programme, do you? Besides, that’s how the actual teams do it anyway. 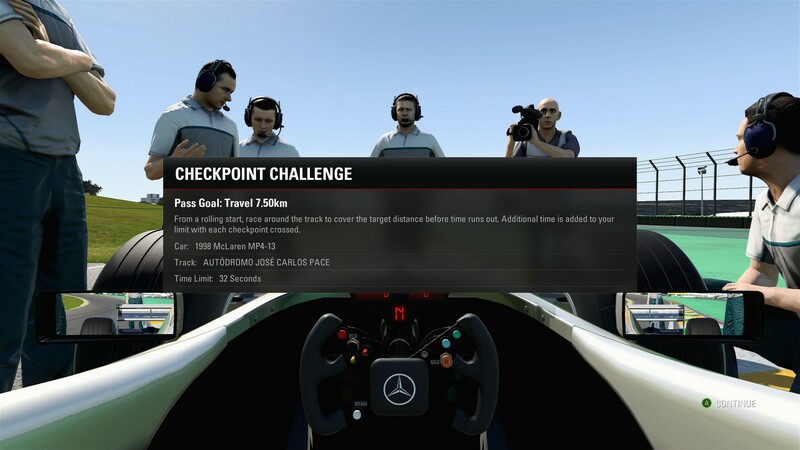 Every once in a while you will get a visit by a weird looking rich fella who invites you to these classical car challenges which range from overtake challenges to pursuit, checkpoint or race challenges. I didn’t know how much I missed the sound of a natural aspirated engine until I drove one of these beasts. They sound just great, fantastic even. They’re not as fast as the new cars, but…they just sound so much quicker. Sadly though, some iconic liveries aren’t like the original and I understand that Codemasters did that for legal reasons…but it’s still a bit of a shame to see Schumacher’s F2002 without the Marlboro name on it. I’m sure this can be fixed with a mod once it’s released but until then…most sponsors are missing from these classical cars. In fairness, even the current showcars don’t feature these sponsors anymore. Anyway, these small challenges are a bit too short for my taste since they usually only take 2 or 3 minutes to complete but there are ones that take a bit longer. Though even then, they’re just 5 laps long. It will take you a while to get everything upgraded. The handling on these classical cars differs quite a bit from their future counterparts. They’re light, easy on the throttle and kind of squeamish in corners. The 2017 cars feel heavy and slow to respond in comparison. It takes a while for the load to transfer from one side to the other in quick left-right combinations and I like that quite a bit. 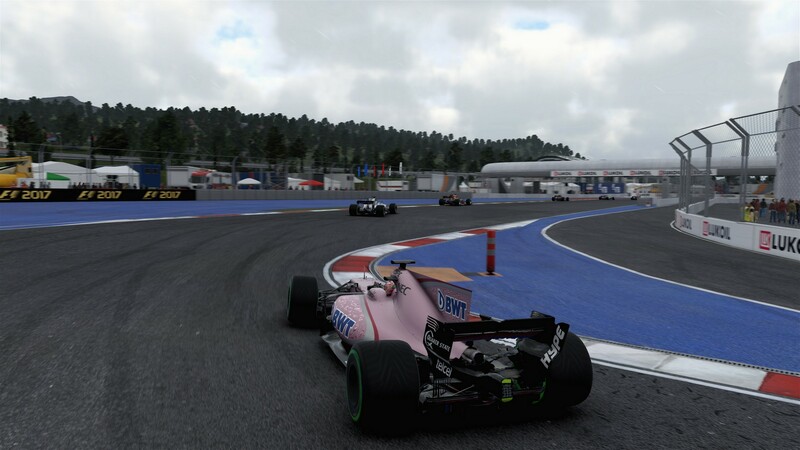 The fast corners on track are now also fun to tackle since these cars have much improved downforce. Braking is way quicker with the wider tyres as well and it’ll take you a few laps to adjust to the shorter brake distances. I also believe that traction in corners gets pretty close to how the real cars behave. 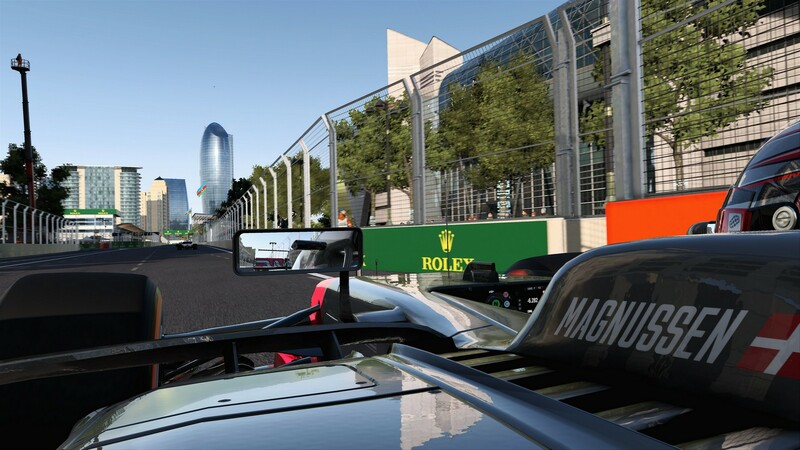 I could not get on full throttle in the long third corner in Spain for instance, something even Lewis Hamilton didn’t manage on his pole lap, but I can imagine that a fully upgraded car will be able to do just that. 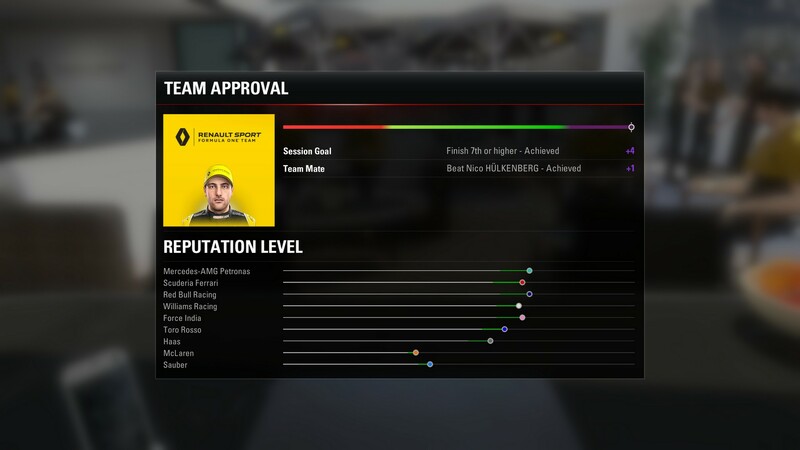 Since I’m mentioning the qualifying, there is now a fourth fuel mixture available only in qualifying, Codemasters missed their chance by not calling it “Remove Sandbags” though. 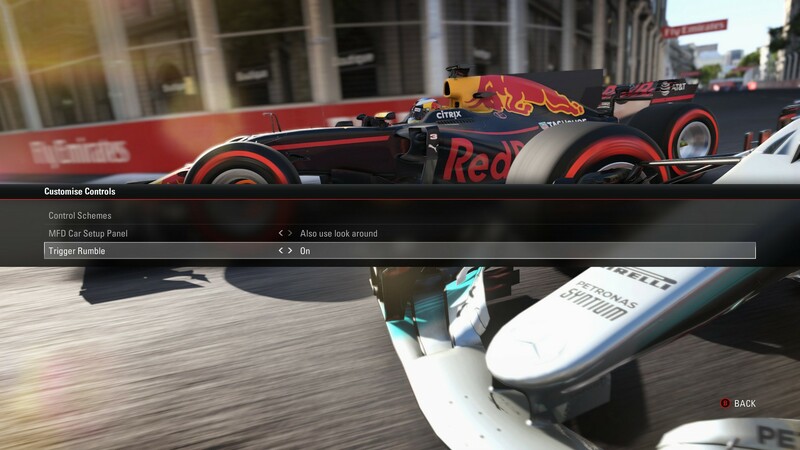 The AI in F1 2017 doesn’t seem to be vastly improved from previous years. Cars create a snake in the first few corners and dive-bombing is still a very effective way of gaining a few places here and there. It’s also fairly easy to outbreak the AI but this might just come down to my AI difficulty which sits at 80%. And yes, that means difficulty settings are defined by percentage, rather than presets. It’s these little details that make this game one of the better ones for me. 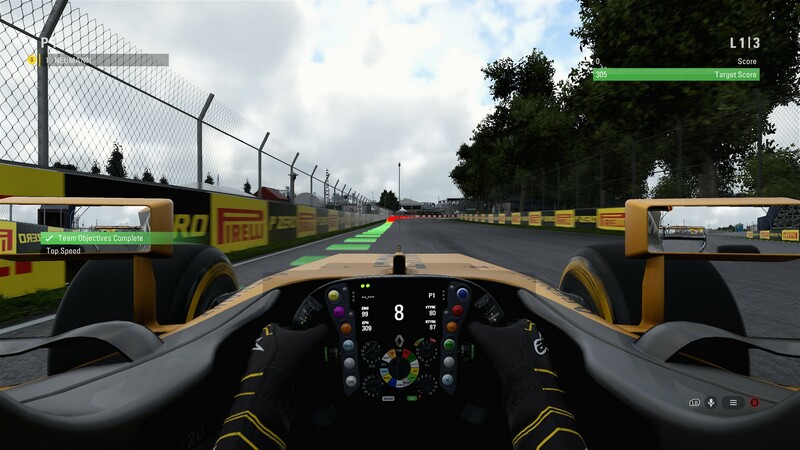 For instance, remember when the car used to do an erratic turn to the right or left every time you used the instant-replay feature in corners? Well that’s been fixed. Finally I should say since this has been an issue for a few years, the radio is also muffled when you’re in a tunnel. 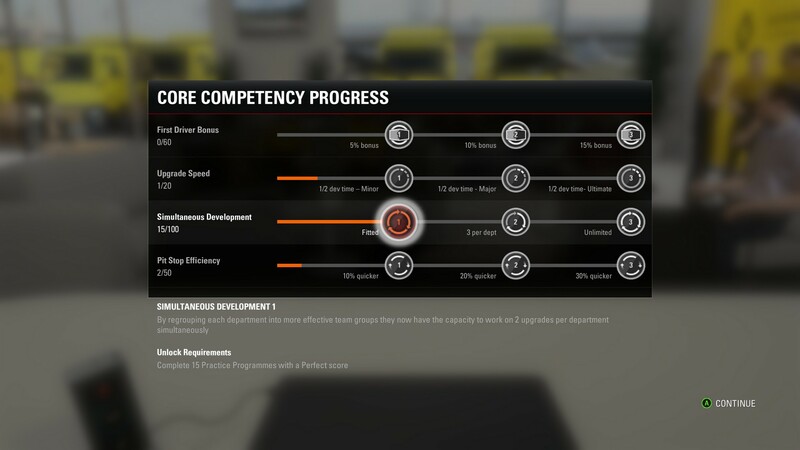 Something that has been a feature in F1 2016 as well, but here it’s actually difficult to understand your mechanic. What caught me by surprise is that the trigger vibrators on the Xbox One controller are now supported, something I believed to be a windows store UWP exclusive feature. This alone makes the driving experience that much better. 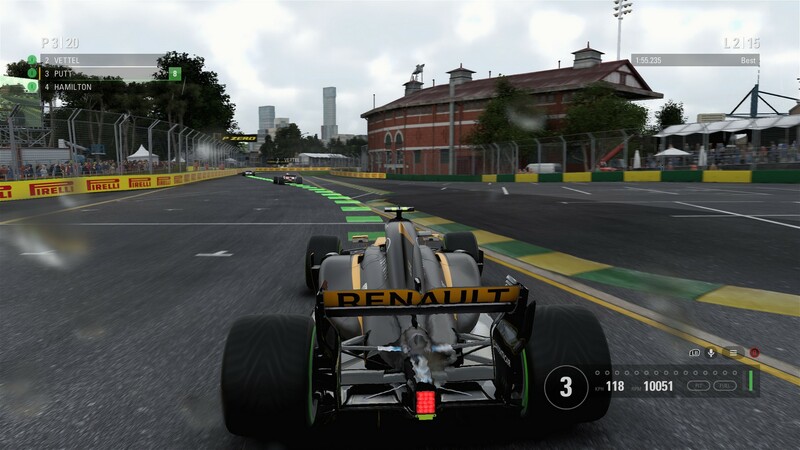 Driving over kerbs makes the rumbles go mad in the triggers. I can’t overstate enough how much I like this feature. Another new addition is the photomode, something I’ve been asking for for the last 2 years or so. I would like to see them increase the size of the radius you’re able to move, though. Let me move the camera further than 10m away from the car please! There is also an “Ansel” message popping up at the start of the game, but I haven’t been able to activate it so far. Perhaps I need a driver update for this to work but Nvidia hasn’t released them just yet. When luxurious city isn’t enough, add fireworks. Codemasters always did a great job with settings, but this year they expanded it even further with some more advanced rendering techniques and a few audio changes. 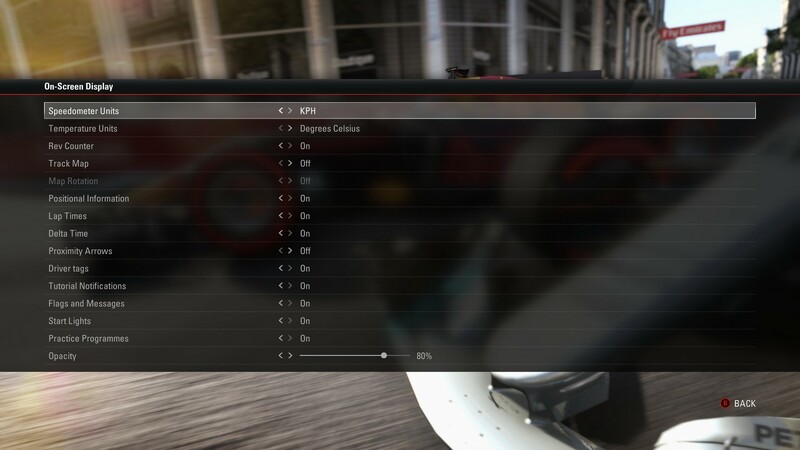 You’re able to choose 2 different audio outputs for the radio or main sound respectively. There is also checkerboard rendering in the video settings now. This one will save you a bucketload of frames all the while still looking fairly sharp. There are a few visual artefacts here and there, but going from 40 to 70 fps is quite a fair trade in my book. Ultra+ quality shadows, HBAO+ and SSRT shadows are in the game as well, though I’m not certain as to what the SSRT shadows actually do apart from lowering my FPS. It might be self-shadowing on the car but it’s difficult to see these differences when you’re driving 250 km/h around a corner. HDR support is also implemented with a slider for adjusting the max nit brightness. 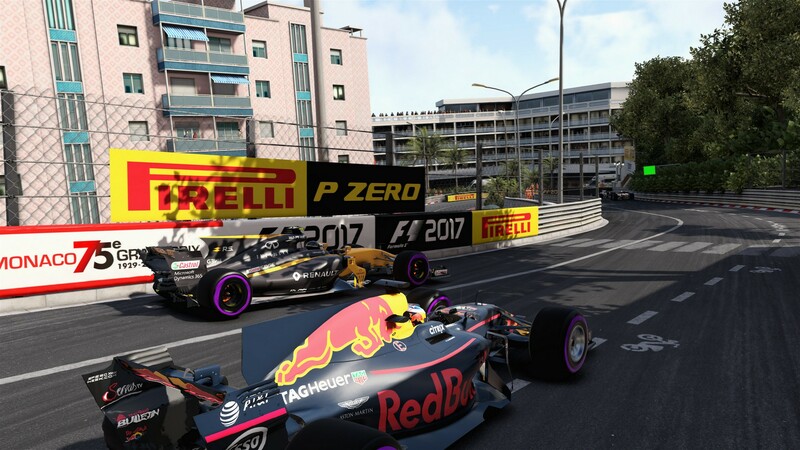 Graphics have become a somewhat big boost in F1 2017 compared to the previous games, but it’s mostly post-process and lighting changes. 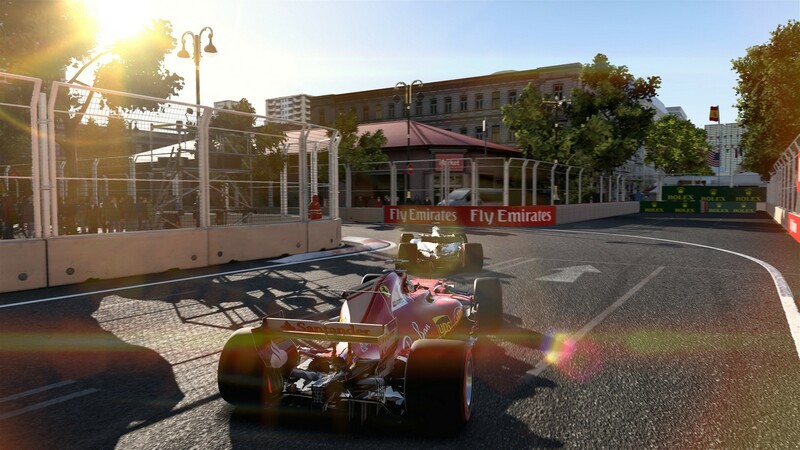 The visuals are more contrast-rich and there seem to be more shadows in general compared to F1 2016. Even with my now somewhat dated machine (4790K, 780Ti) I’m able to reach a fairly stable 60 fps with High to Ultra settings at 1440p no less. And if I enable the checkerboard rendering, I can basically enable all ultra settings and almost reach a stable 60 frames. So performance, visuals and settings in general are much better compared to 2016’s game, at least on my machine. At this point I’d like to talk about multiplayer, but at the time of writing this review I wasn’t able to find any multiplayer matches. Something I’m 100% sure won’t be an issue once the game is officially out. 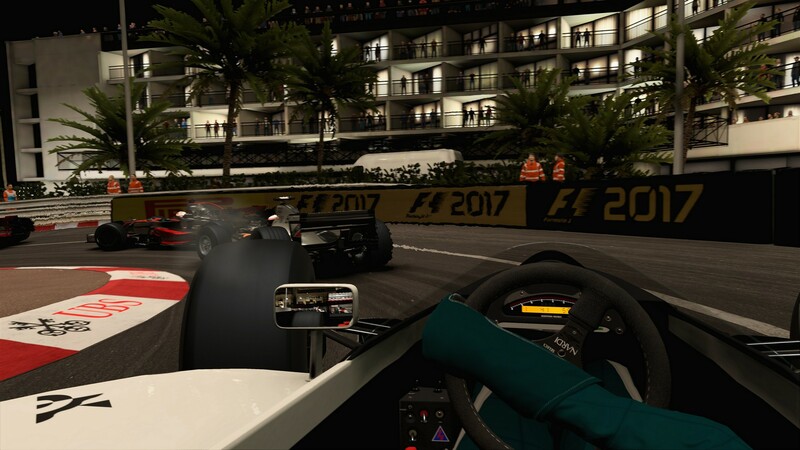 I’m still able to find races fairly quickly on F1 2016 after all. However, there haven’t been any major changes to the multiplayer part from what I’ve seen. 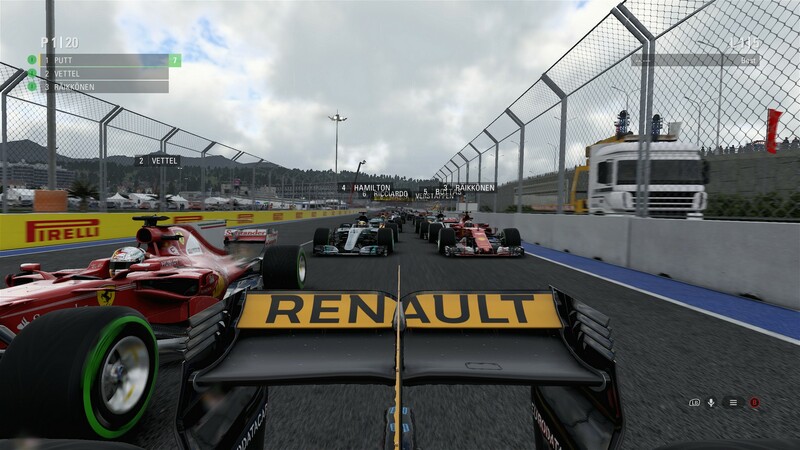 The co-op career mode is still missing from the game and that’s something I’d like to see make a comeback next year. 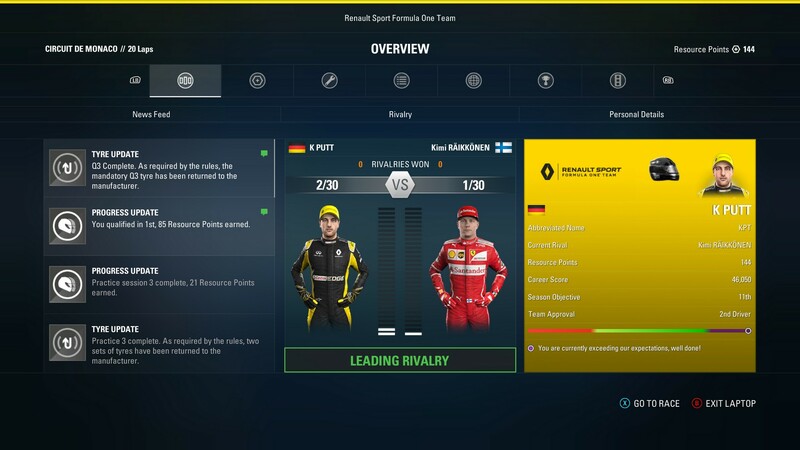 New for us to compete in are the online events. Events where you partake in a challenge created by the developers. Basically a weekly challenge. Right now it’s driving the RB13 for 20 laps over the Suzuka racetrack and the one with the quickest time will be at the top of the leaderboard. Don’t listen to warnings, they just want you to lose. So you might be wondering why I’m not complaining about some feature you have been asking for since forever? Well, here is a list of things I want to see changed in next year’s game. Give us the media back! 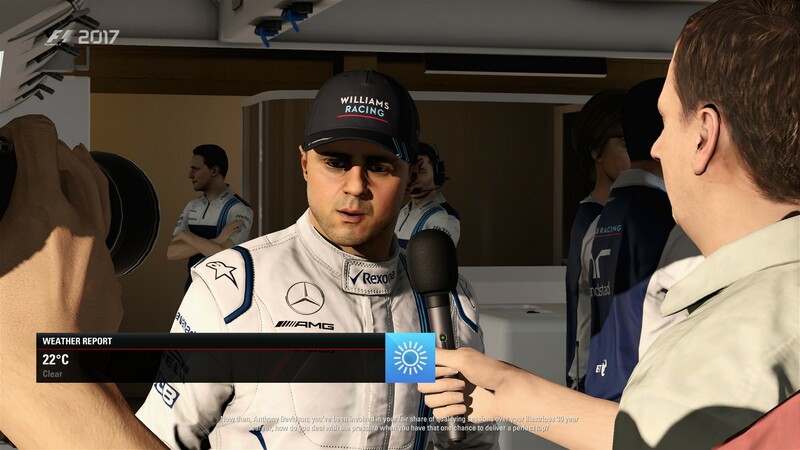 In F1 2010 you had to answer questions to the media and I liked that aspect of the game quite a bit back then. 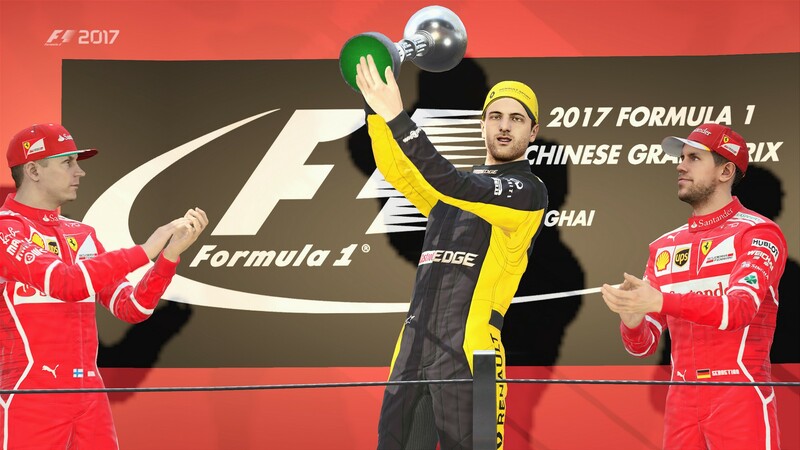 I’d like to see us take part in the press conference every 5 or so races to answer some questions. “Less buttons more?” A still more fleshed out career in general will be a nice change. Like I mentioned before, a comeback of the co-op career would be a nice addition to the multiplayer as well. And so would a yet more expanded practice program. It’s sometimes difficult to find the right car setup for each track and it’s near impossible to get any information on this from the team. 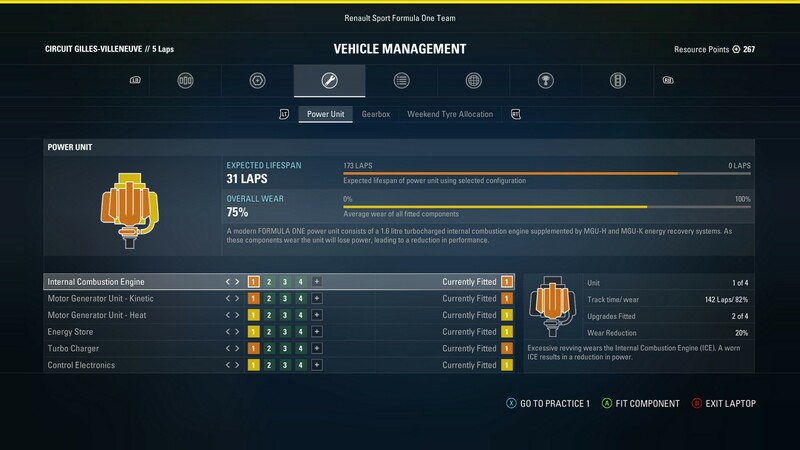 Perhaps a certain amount of laps will give the team a better idea of the car/racetrack and setup the car more efficiently for you. A couple of classical racetracks would be neat as well for next year, coupled with even more classical cars, of course. A slightly more aggressive, but fair AI would be nice to see as well. As you might have guessed, I like this game. A lot actually. The handling feels great, the addition of classical cars and the integration of said cars into the career via challenges is fantastic. 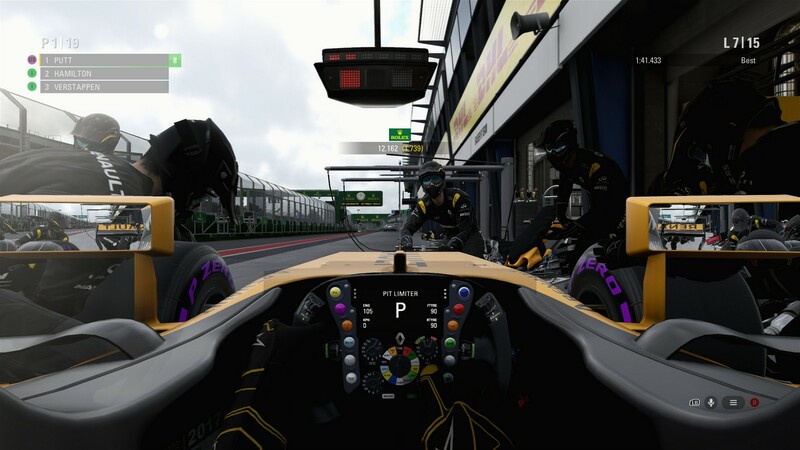 Reliability and power unit allocations add so much to the experience of actually managing the car and the vastly improved upgrade system gives us a goal besides just…winning a race. Graphics see a slight update and the visuals feel more contrast-y than before. 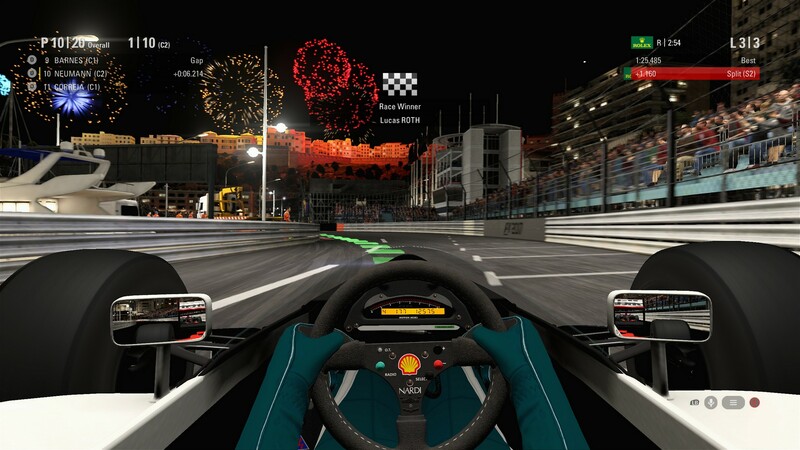 Some details like the rumble feature on the Xbox one controller, or the radio being muffled inside a tunnel make the experience that much more immersive. The inclusion of photomode makes me, a screenshot guy, rather happy. 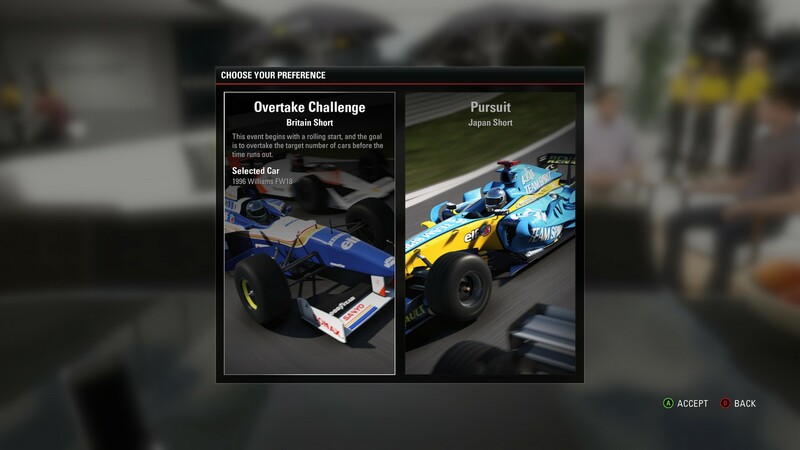 Codemasters really did something great here and listened to their fans. And to think that they only ever have about one year to create these games is just astonishing. So should you get the game? Most certainly. 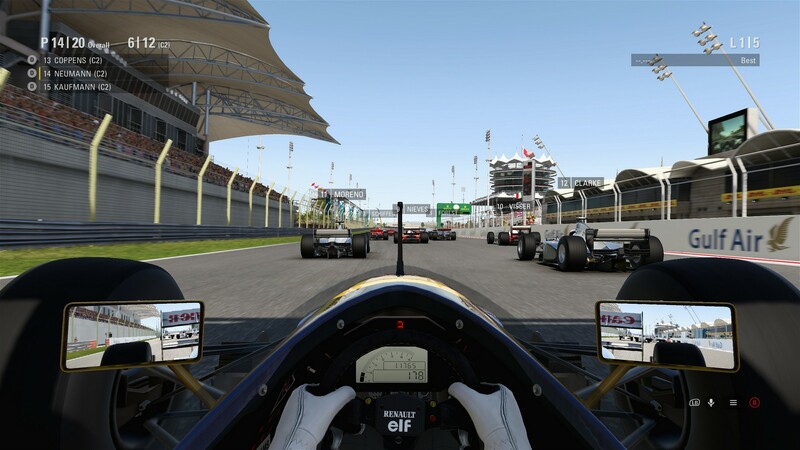 This might be the best F1 game since F1 2010 or even beyond that. Cars: The cars are as detailed as they could be. 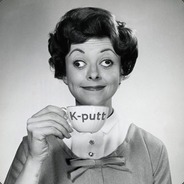 Settings: A settings menu that should be an example to most developers. 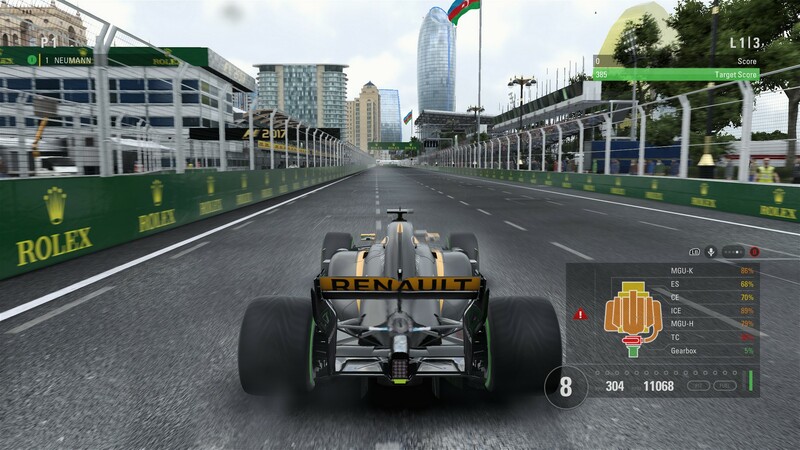 Physics: The cars feel big and heavy while still being fast, just like I’d imagine they would. 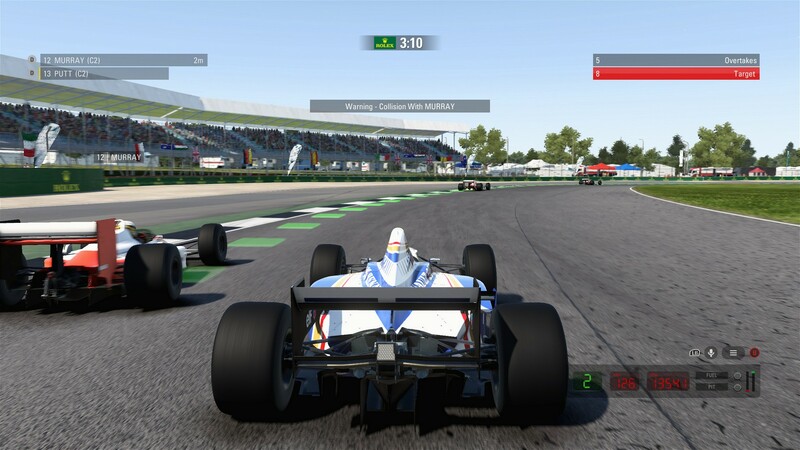 Race tracks: Tracks got a minor facelift or even a complete re-design. Visuals: Slight, but noticeable improvements to the graphics. 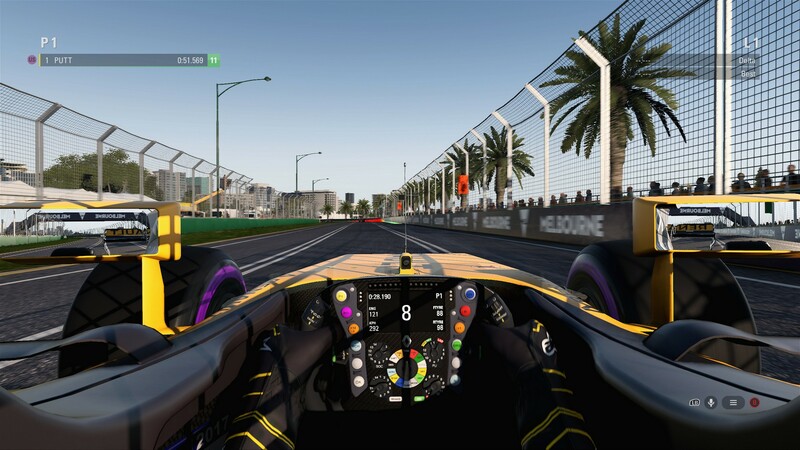 Voiceover: Some of the voiceover clips are re-used from F1 2016. 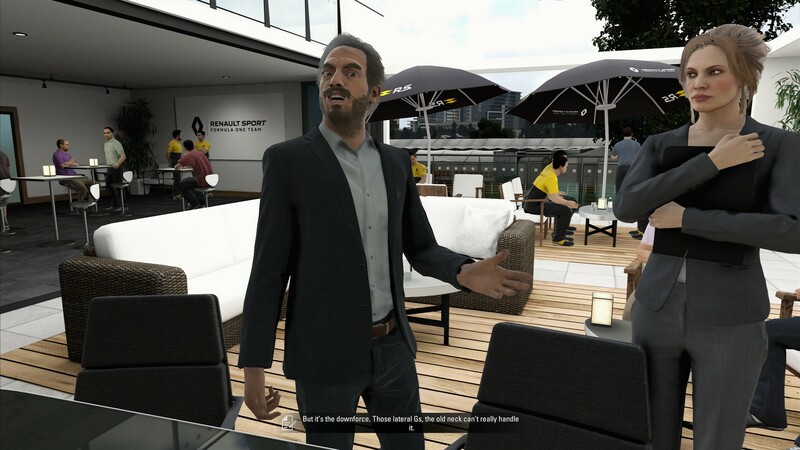 Multiplayer: Multiplayer is still mostly the same with the addition of online events for you to compete in. 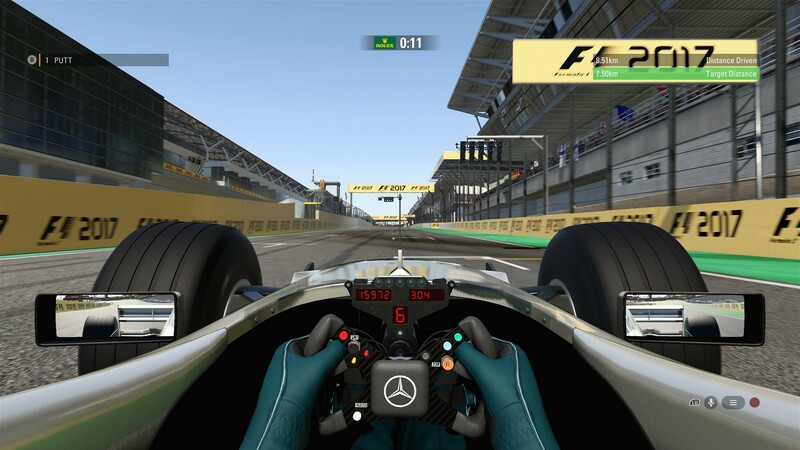 The best F1 game in recent years. 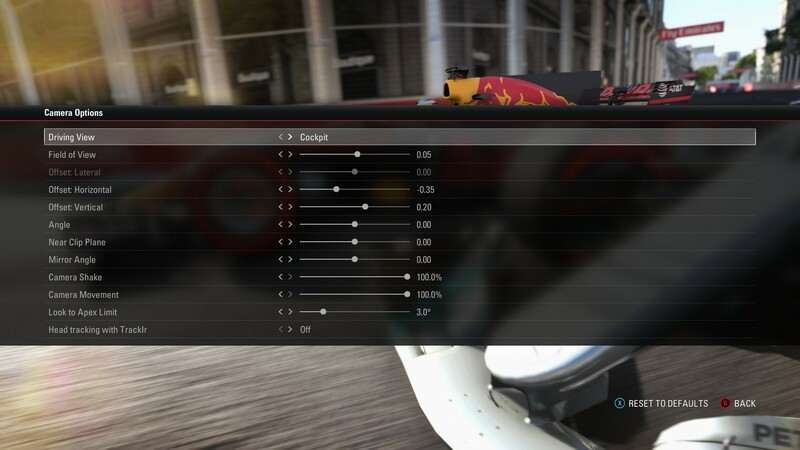 Graphics: Possibly the best visual settings menu I’ve seen recently. 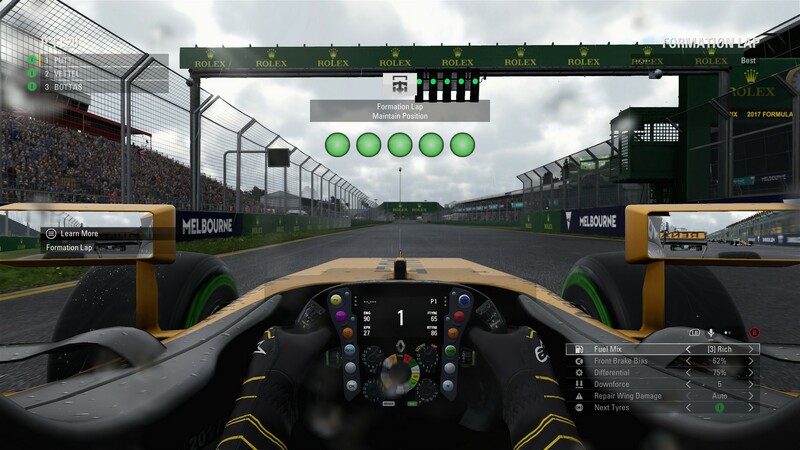 Checkerboard rendering and even features like Tobii eye tracking that just a handful of people can use are still in the game. Audio: Plethora of audio sliders and other options to suit your needs. Different audio outputs for radio or main sound. 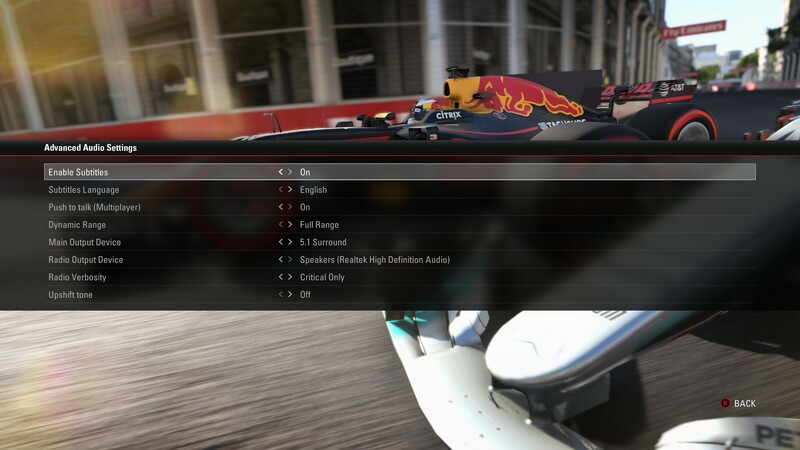 Subtitles and even an upshift tone are part of the audio settings. 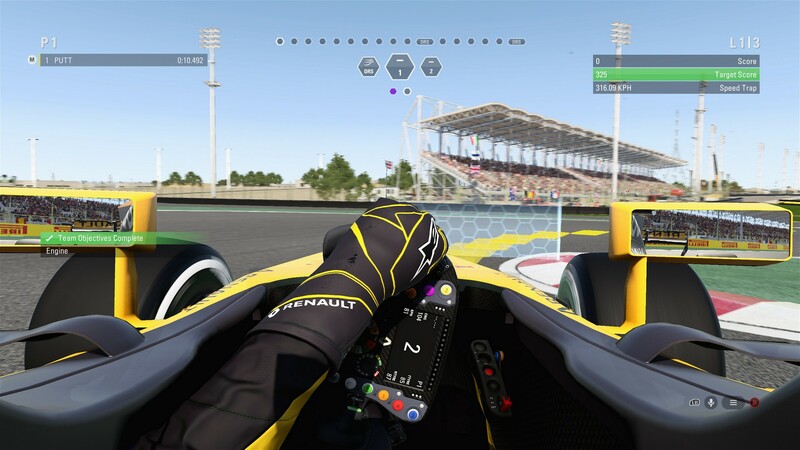 Controls: Lots of wheels are supported as is expected with a Codemasters game. 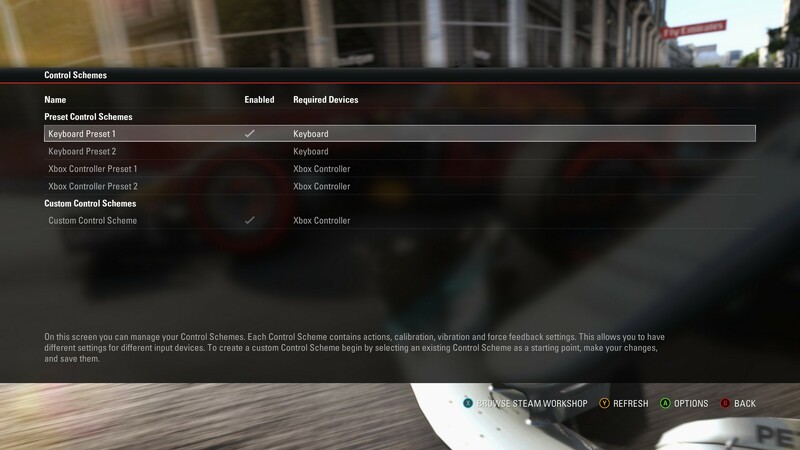 F1 2017 even supports the trigger vibrators of the Xbox One controllers. Something I thought to be a Windows Store UWP exclusive feature. Gameplay: Various driving assists to choose from. 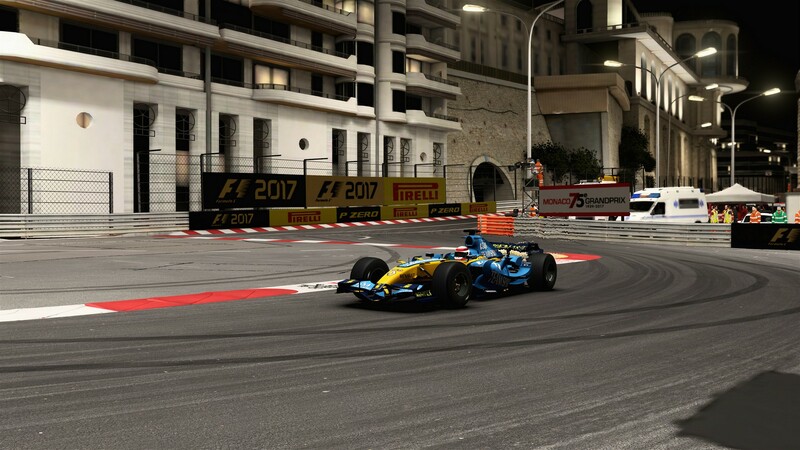 Enabling Braking Assists, Anti-Lock Brakes and Traction Control makes the game even for more enjoyable for novice players. Plenty of camera options are also on board ranging from FOV to the shakiness of the camera at high speeds.